Head over to Amazon to check out these Rachael Ray Nonstick Cookware Sets for Only $99! Down From $290! You are here: Home / Great Deals / Amazon Deals / Rachael Ray Nonstick Cookware Sets Only $99! Down From $290! FREE Shipping! 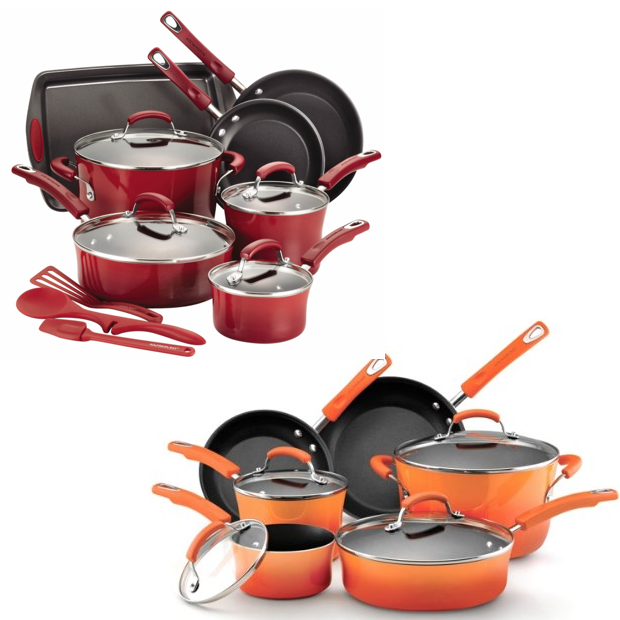 Rachael Ray Nonstick Cookware Sets Only $99! Down From $290! FREE Shipping! Head over to Amazon to check out these Rachael Ray Nonstick Cookware Sets for Only $99! Down From $290! + Ships FREE! Either of these sets would be a great addition to your kitchen or a great starting kitchen set! Also a great holiday gift!